Why Does an Egg's Shell Dissolve When Put in Vinegar? Interesting and simple experiments with everyday items can help children learn science in a fun and educational way. One particularly interesting trick involves dissolving the hard outer shell of an egg by dissolving it in vinegar. This experiment is an easy way to teach children a lesson about chemistry. Take a raw egg and place it in a jar or other container deep enough to submerge it the egg completely in liquid. Pour vinegar over the egg until it is covered. You will see bubbles forming on the egg's shell. Cover the jar and place it in the refrigerator for 24 hours. Carefully remove the egg from the jar using a a hard spoon and replace the vinegar in the jar. Place the egg back in the jar and cover it again. Put the jar back in the refrigerator, and wait another 24 hours. Take the egg out and rinse well. 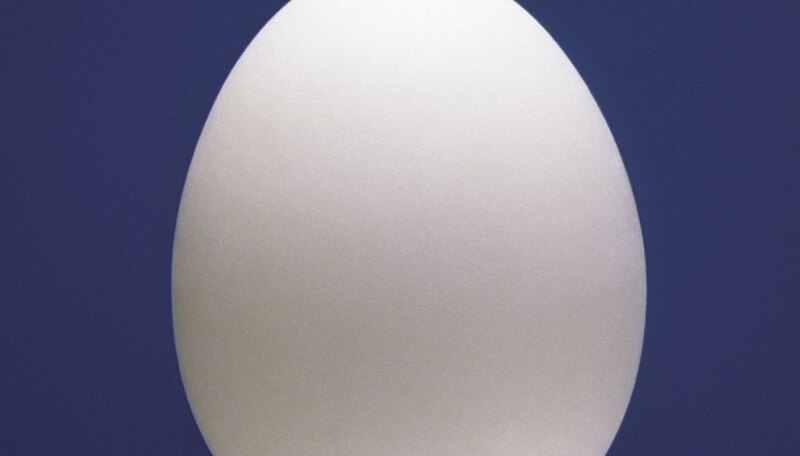 You will have a translucent egg with no shell, just a thin membrane. The egg in vinegar experiment can also be done with a hard-boiled egg. Boil an egg for 10-12 minutes until it is hard-boiled. Place the egg in a jar, cover it with vinegar, and cover the jar. Place in the refrigerator for 24 hours, then replace the vinegar. Let the egg sit in the new vinegar solution in the covered jar for at least 24 hours (may take a few days). After you take the egg out and rinse it off, you will find that the shell is dissolved, and that your egg bounces. 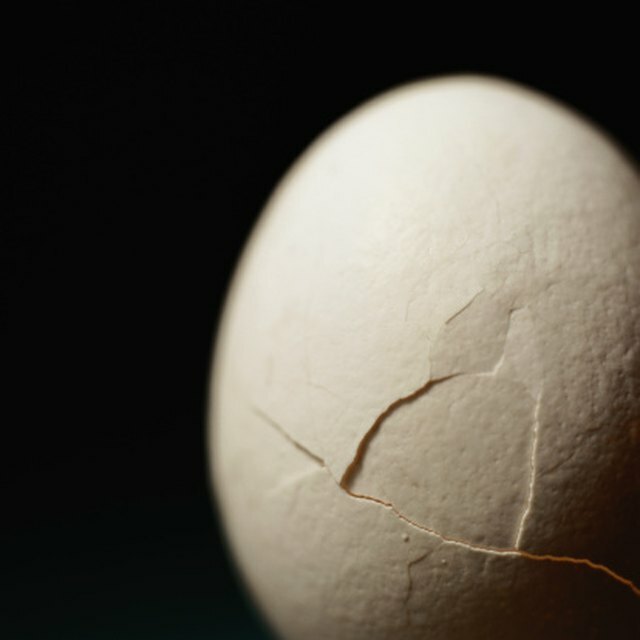 Eggshells contain calcium carbonate, which reacts with an acid in vinegar called acetic acid. The acetic acid breaks up the calcium and carbonate, dissolving the shell. While the calcium floats away, the carbonate reacts with the acetic acid to create carbon dioxide. This is why you see bubbles on and around the eggs. Any liquid that is acidic enough should be able to produce the same reaction. Try submerging an egg in cola, orange juice or rubbing alcohol. Department of Physics, University of Illinois at Urbana-Champaign: Q & A: Eggshells in Vinegar - What happened? Johnson, Adam. "Why Does an Egg's Shell Dissolve When Put in Vinegar?" Sciencing, https://sciencing.com/eggs-shell-dissolve-put-vinegar-10000674.html. 24 April 2017.